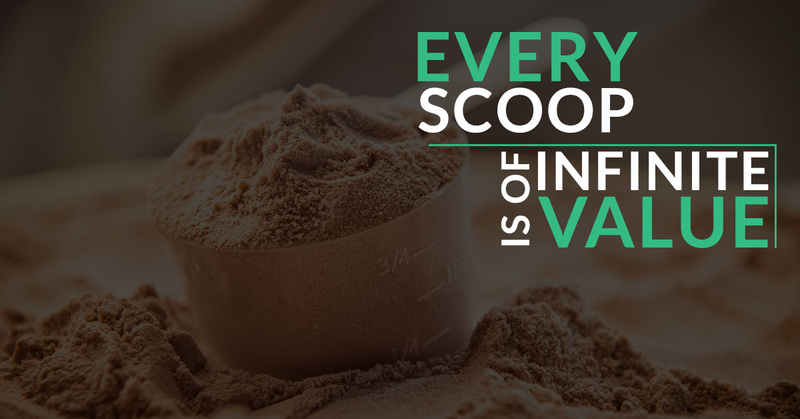 At True Nutrition, we skip marketing gimmicks like fancy labels in order to provide the highest quality bulk powders and supplements at incredible prices. Our product budgets go towards the premium ingredients inside this bag, not excessive brand marketing. Since day one, we have focused on the quality of our products by only sourcing raw ingredients that are held to the most rigorous of standards. 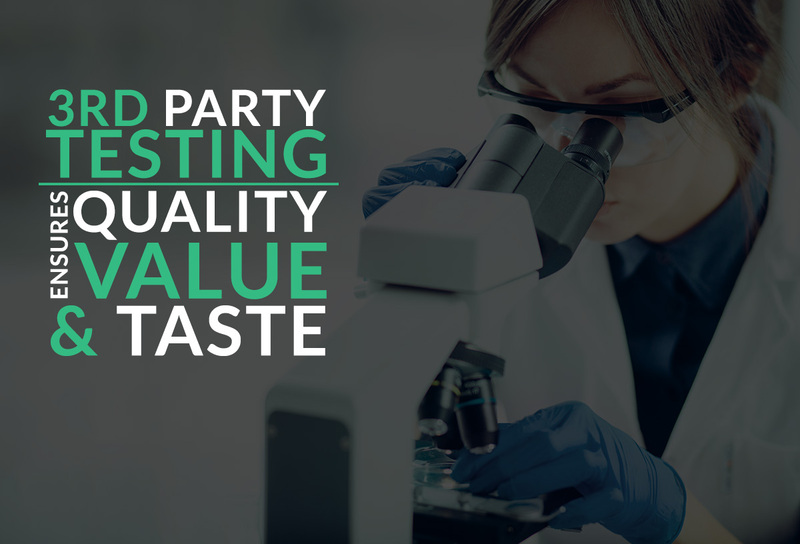 Since quality is so important to us, we 3rd party test all of our products to verify the value we offer to our customers. Other companies may be flashier, louder, and bigger... but our brand is built on the core values of results, legitimacy and pure ingredients. Our reputation depends on it. We also manufacture our own products unlike 99.9% of other supplement companies. Because we don't spend a frivolous amount of money on advertising, we don't have to stuff our products with fillers or unwanted additives to make up for sub-standard ingredients. Plain and simple, every TrueNutrition customer is getting the highest quality products available in the market. If you're looking for a no-BS approach to sports nutrition, then we know you will continue to choose True Nutrition. If you have been using our products for a while, then you know we mean it... and if you're a new customer, Welcome to the team! "You guys have the best tasting protein I've ever had!" - It's true. We have one of the largest flavor selections in the world. From Custom Protein Powders to Custom Oatmeal Blends, we have some of the tastiest flavors to pair with your mixes. Our Oatmeal Flavors are all natural and delicious, and our new TrueFlavors for protein blends are incredibly delicious in addition to being non-GMO and naturally sweetened with Stevia Leaf. "How are you able to maintain great quality but keep prices low?" - We buy high quality ingredients in huge quantities at low prices. Then we pass that quality and value on to our customer base. We make pure ingredients available to the general public, and the best part? We provide tools on our site to allow you to customize those ingredients exactly how you want. Yeah it's pretty cool. Most supplement companies in our industry spend the majority of their budgets on marketing. 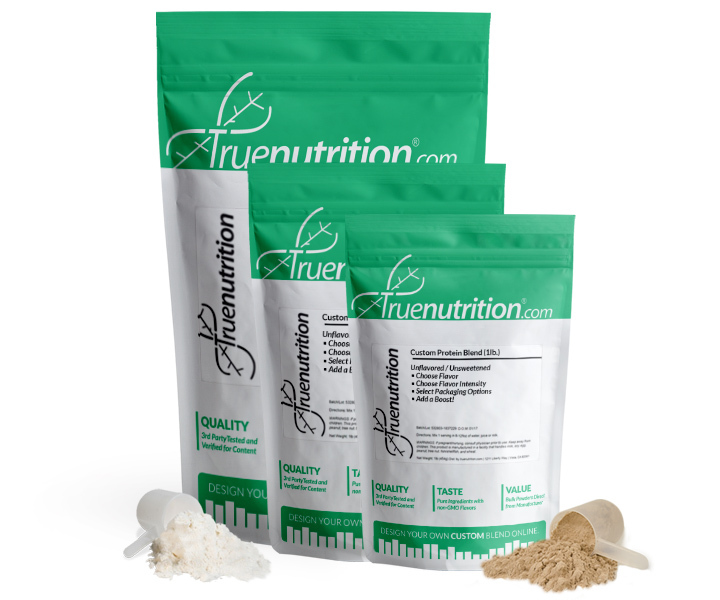 TrueNutrition.com spends the majority of our budget on quality ingredients; because that's what our customers value. We are able to offer these products to you at such incredible prices because our business is not built on paid endorsements, fancy labels, elaborate marketing schemes or any of the other bells and whistles typical in this industry. Our customers are smart, well-informed consumers who are not fooled by gimmicks...and we like it that way. TrueNutrition.com also holds our customer service to the same level of quality. 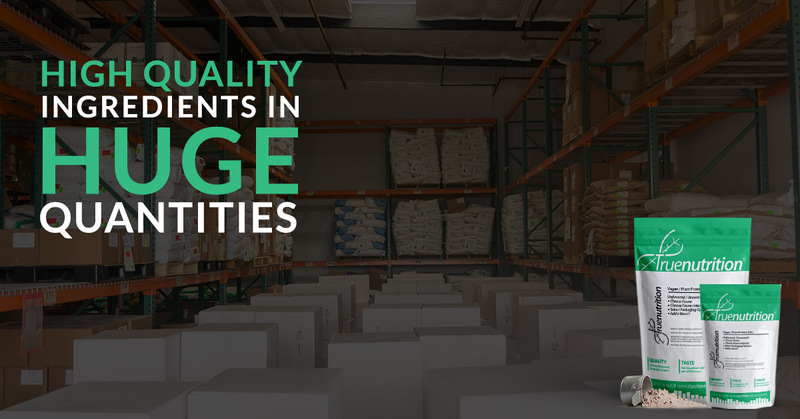 We understand the nature of bulk materials can be confusing at times, and we pride ourselves on showing each and every customer that we truly appreciate their business. We pledge to go above and beyond in offering the personal one-on-one service you expect. For over a decade, our reputation for quality and continued growth has been built by our own customers - there isn’t an endorsement that could make us prouder. It tells us that all our hard work in testing, studying, sourcing and customizing the absolute best proteins and supplements available has been well worth it. We will continue building on these values as we continue to offer unrivaled product quality, unbiased product info, and outstanding customer service. "I can't believe I was just able to make a vegan protein powder blend with TWO ingredients!" - Most first time customers are surprised at just how easy, pure, and delicious our bulk powders are. One of the really cool things about TrueNutrition is that we buy pure protein and food powders in huge quantities, and then allow our customer base to buy them in bulk or even create custom blends with them. 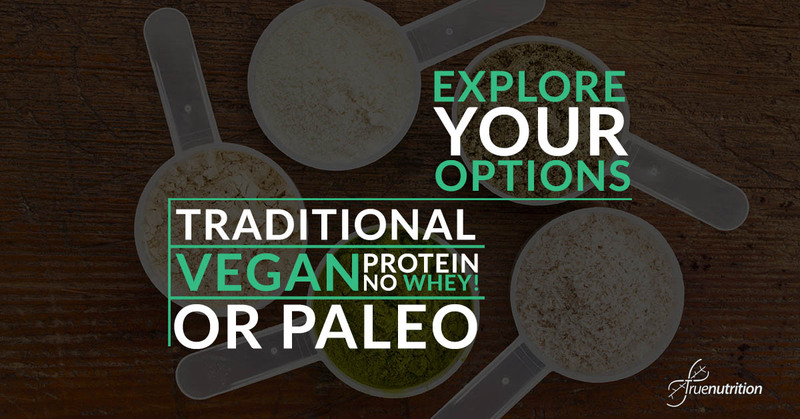 Our Custom Protein Powder Generator is one of our most popular site features, allowing you to design a custom blend of our bulk powders, choose from our wide variety of flavors, and even the type of packaging you want.